We are very excited to announce that Tahoe Mountain Sports is 1 of only 2 retailers in the entire country to be carrying the brand new Deuter ACT Trail 24 Backpack and it is in stock and ready for shipping. For those of you that don’t know, Tahoe Mountain Sports carries the entire line of Deuter backpacks and Deuter bike products including what we think is the best hydration reservoir out there, the Deuter Streamer. More on Deuter later, this is a blog post about a brand new, super cool day hiking backpack! Deuter continues its success in the backpack and daypack world with the release of the all new ACT Trail 24. The new ACT Trail 24 is the little brother to Deuter‘s award winning ACT Trail 32. 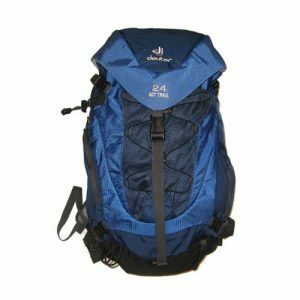 It brings all the popular features of the ACT Trail 32 and the woman’s specific ACT Trail 28 SL into a more compact 24 liter size, making it a perfect summer day pack for a wide variety of activities. The Trail Series backpacks are small top-loading traditional daypacks with modern features and top-notch quality. They have the more traditional AirContact back system compared to the mesh back systems of the Futura series and the all new ultralight Spectro series. The Air Contact back system still ventilates quite well, doesn’t cut into the capacity of the pack and is a bit lighter. The backpack includes a large mesh stuff it pocket on the front for a light extra layer or anything that you need easily accessible. One of the best features of the Trail 24 is the large two way zipper on the front of the pack that provides easy access to the entire contents of your backpack and especially the bottom or anything small and hard to find. 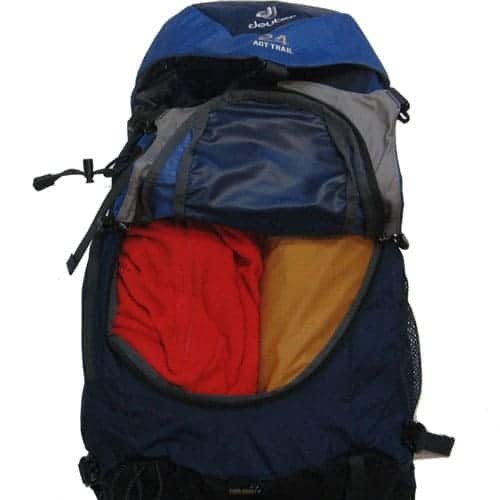 This “clamshell” opening as it is referred to allows you to put the back down on its back and get a full view into and full reach into the entire main compartment of the backpack. It also has a mesh pocket on one side and a small zippered side pocket on the other, perfect for your map and compass. Ice axe and trekking pole loops secure gear to the outside, and a hip belt pocket keeps a small camera or other essentials close at hand. 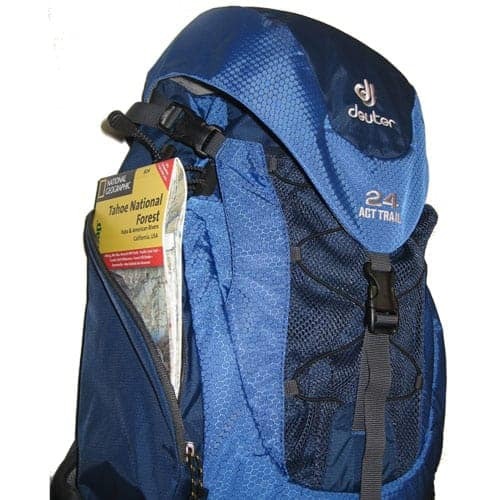 All of these great features are packed into a compact 2lb 12oz package with typical Deuter durability and quality. The AirContact back system with Delrin™ Frame Rod keeps loads up to 20lbs stable and comfortable. The built in removable rain cover may not see much use here in Tahoe, but is an invaluable feature in wetter climates. 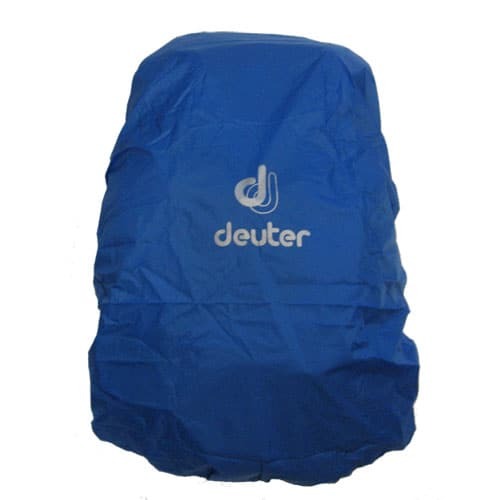 Don’t forget, the rain cover by itself would cost you $20 and it is included with this backpack. The pack is hydration reservoir compatible, but the reservoir itself is not included. We highly recommend a Deuter Streamer 3 Liter Reservoir to go with your ACT Trail 24. We always recommend the 3 liter version because if you ever want that much liquid, you have that option, but you don’t always have to fill it up to capacity. Overall, this is a great little pack that carries everything you need for a summer day hike or a day at the beach. The 24 liter capacity is perfect for me. I find 30+ liter day packs a little too big for most summer uses and often a small hydration pack is not big enough. The ACT Trail 24 fills this niche beautifully. I took the pack out on a 3 hour afternoon hike and it carried everything I needed nicely, including extra food and water for the dog. I could see this pack being my “Go To” backpack for most summer activities including hikes, bike commuting, and days at the beach. All in all a great little pack and Tahoe Mountain Sports is proud to be a partner with Deuter USA in releasing this backpack to our U.S. customers. 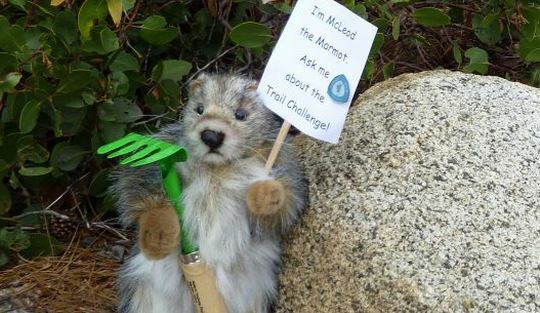 UPDATE: Want to read more Deuter ACT Trail reviews? Check out the Deuter ACT Trail 24 review on SierraDescents.com or and TMS customer reviews on the Deuter ACT Trail 24.